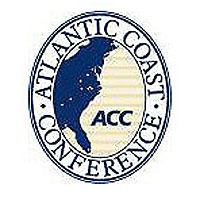 Five Virginia football players were named either first-or-second-team onthe All-Atlantic Coast Conference football team, announced by the leagueon Monday. Three other players were named as honorable mention selections. Thefive selections are the most first-and second-team honorees for UVa since the2004 team garnered seven accolades over the two teams. The eight overallmembers on the All-ACC team are the most by a UVa team since the 2004 team alsohad eight players represented. Senior defensive tackle Matt Conrath, senior cornerbackChase Minnifield and senior offensive guard Austin Pasztor were named to thefirst team, the most honors UVa has earned since the 2005 team placedD’Brickashaw Ferguson, Connor Hughes and Kai Parham on the first-teamsquad. Junior offensive tackle OdayAboushi and junior linebacker Steve Greer were named to the All-ACC secondteam. Junior tailback Perry Jones,senior safety Rodney McLeod and senior center Anthony Mihota garnered honorablemention honors. Minnifield (Lexington, Ky.) earns his second career All-ACC first-team honor,becoming the first Cavalier to win multiple first team honors in his careersince Ferguson in 2004 and 2005. Minnifield is the first UVa defensive back to have multiple All-ACCfirst team accolades since current UVa safeties coach and special teamscoordinator Anthony Poindexter earned three career nods (1997, ’98, ’99).Minnifield is No. 2 nationally among active career leaders with 13interceptions. He is a finalist for the Lowe’s Senior CLASS Award and asemifinalist for the Thorpe Award & Lott IMPACT Trophy. Minnifield was named the Thorpe AwardDefensive Back of the Week after helping limit then-No. 12 Georgia Tech to 24yards passing and its lowest rushing total at the time (272). Conrath (Oak Lawn, Ill.) earns his first career All-ACCselection and becomes the first UVa defensive tackle to garner first teamhonors since Nate Collins in 2009. Conrath was named ACC Defensive Lineman of the Week twice, followingwins over then-No. 12 Georgia Tech and Duke. Along with Minnifield and Greer, he helped anchor a defense that is No.31 in the nation and No. 3 in the ACC, helping UVa improve from No. 78 and No.10 respectively in 2010. Conrath led UVawith three blocked field goals, all in separate games and all UVa wins. Conrath is third on the team and No. 3 in theACC among defensive linemen with 64 tackles. Pasztor (Langton, Ontario) earns his first career All-ACC selectionand becomes the first UVa offensive guard to receive first team honors sinceBranden Albert in 2007. He has helpedUVa rush for 1,984 yards, the most by a UVa team since the 2004 season. Pasztor has allowed zero sacks and in 781offensive plays has given up only two QB hurries. He was named ACC Offensive Lineman of theWeek after grading out at 93 percent as UVa rolled up 527 yards of total offenseat Maryland. Aboushi (Staten Island, N.Y.) earns his first career All-ACCselection and becomes the first UVa offensive tackle to be placed on eitherteam since Eugene Monroe was a first team selection in 2008. Aboushi was named ACC Offensive Lineman of theWeek following road wins at Indiana and Miami. Greer (Solon, Ohio) earns his second career All-ACCselection after being named to the honorable mention team in 2009. Greer leadsUVa and is seventh in the ACC with 103 tackles. Greer is the first UVa linebacker to be named to either the first orsecond team since Clint Sintim also took home second team honors in 2008. Greer was named ACC Linebacker of the Weekfollowing his two sack performance at then-No. 23 Florida State and has led UVain tackles in 8-of-12 games. Jones (Chesapeake, Va.) earns his first career All-ACCaccolade and becomes the first UVa tailback to be named to any All-ACC squadsince Cedric Peerman was also an honorable mention honoree in 2008. He is on track to become UVa’s first 1,000-yardrusher since 2004 and is No. 2 on the team with 41 receptions for 416 yards. McLeod (Oxon Hill, Md.) earns his first career All-ACChonor. The senior was named nationaldefensive back of the week and ACC Defensive Back of the Week after grabbingthree interceptions in UVa’s road win at Maryland. The three INTs tied anational high for the season and tied a program record with eight others. Mihota (Fredericksburg, Va.) earns his first career All-ACChonor and becomes the first UVa center since Zac Yarbrough was named to thesecond-team in 2004. Mihota was the onlycenter in the ACC to earn multiple offensive lineman of the week honors. Honorable Mention: Jeremiah Attaochu, lb, Georgia Tech (16); Brandan Bishop, s, NC State (19); Nigel Bradham, lb, Florida State (20); Audie Cole, lb, NC State (19); J.R. Collins, de, Virginia Tech (17); Everett Dawkins, dt, Florida State (18); Antone Exum, s, Virginia Tech (15); Demetrius Hartsfield, lb, Maryland (11); Cooper Helfet, te, Duke (25); Perry Jones, rb, Virginia (16); Cody Journell, k, Virginia Tech (10); Rodney McLeod, s, Virginia (17); Anthony Mihota, c, Virginia (21); Merrill Noel, cb, Wake Forest (30); Greg Nosal, og, Virginia Tech (10); Tydreke Powell, dt, North Carolina (17); Phillip Price, ot, Clemson (12); Greg Reid, spc., Florida State (27); Rod Sweeting, cb, Georgia Tech (13); Bruce Taylor, lb, Virginia Tech (11); T.J. Thorpe, spc., North Carolina (22); Landon Walker, ot, Clemson (29); Bjoern Werner, de, Florida State (13); Earl Wolff, s, NC State (12); Dawson Zimmerman, p, Clemson (15).